It’s been a while since we had Steve Marsh gracing the pages of TB with his little MAN TGL 12 tonner. Last week was ideal for a little blog trip with the little MAN, saying that it actually started at the end of the week before last. As is the nature of international express light haulage, when done properly by a proper professional (that’s you Steve! ), no job is ever the same. This time round it was UK – Spain Express. Ready? Set? Go! 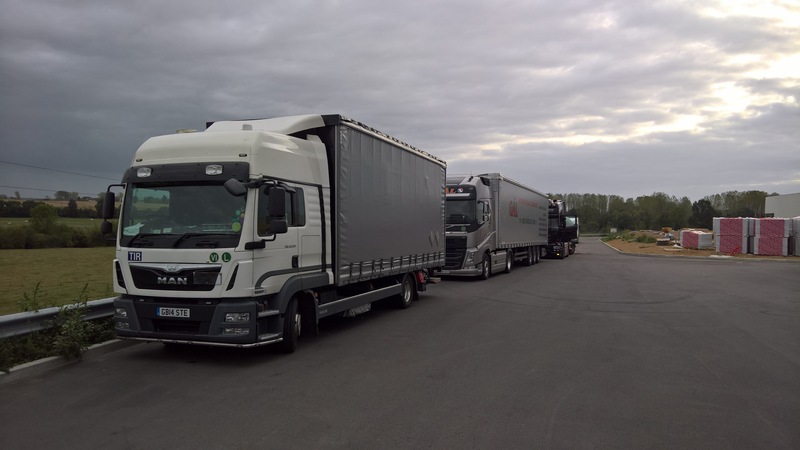 International light haulage is go…..
– 6 collections Thursday afternoon and Friday in the U.K. Also squeezed in a UK job on the way round. – DFDS Sailing from Dover to Calais Friday night. – Parked up just south of Bordeaux Sat night till Mon morning. 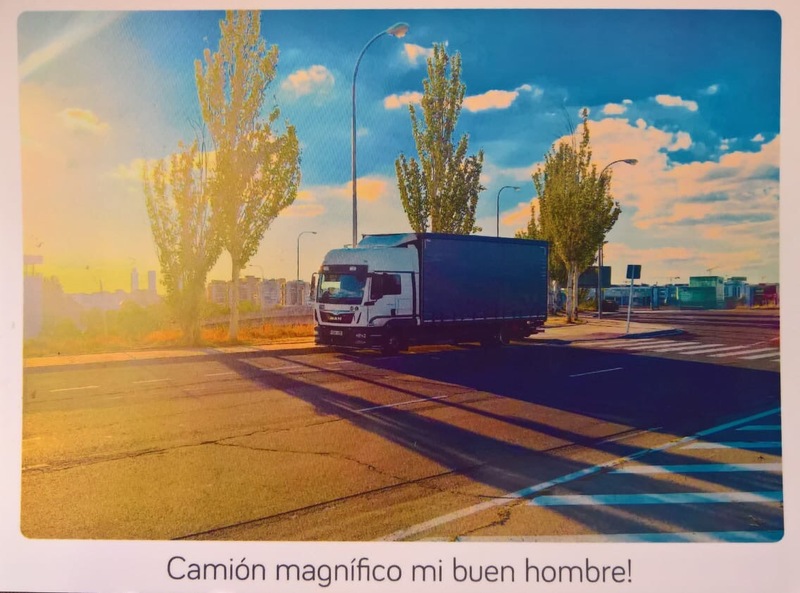 – Drove from Bordeaux to Madrid Monday. – Delivered to IFEMA exhibition centre in Madrid Tuesday. – Loaded cardboard packaging near Le Mans, France on Wednesday afternoon. 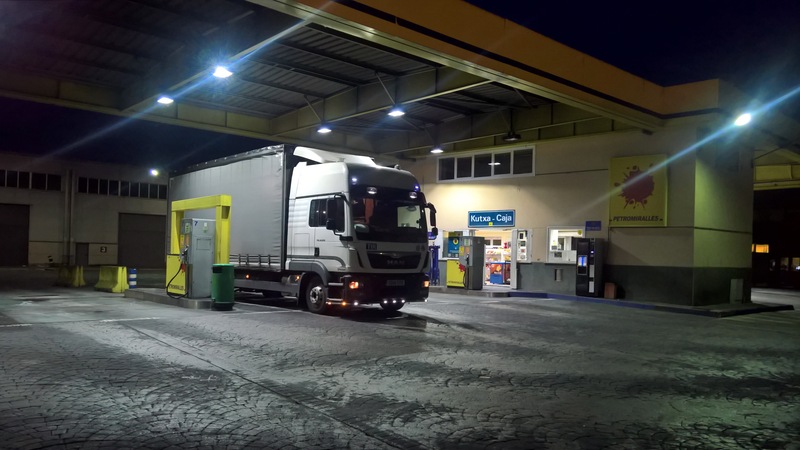 – Spent Wednesday night fending off the migrants at Translay services on the A28 (even though its 1hr 40mins from Calais, don’t park there northbound!!). – Delivered to Howden, Yorkshire on Friday morning. This entry was posted in International Mega Trucking, MAN, Steve Marsh Express by truckbloguk. Bookmark the permalink.